Apple has been forced to release another iOS update to fix bugs with the iPhone X screen. The latest issue saw the display becoming unresponsive when exposed to a rapid change in external temperature. This added to earlier issues with screen burn-in and the green line of death. 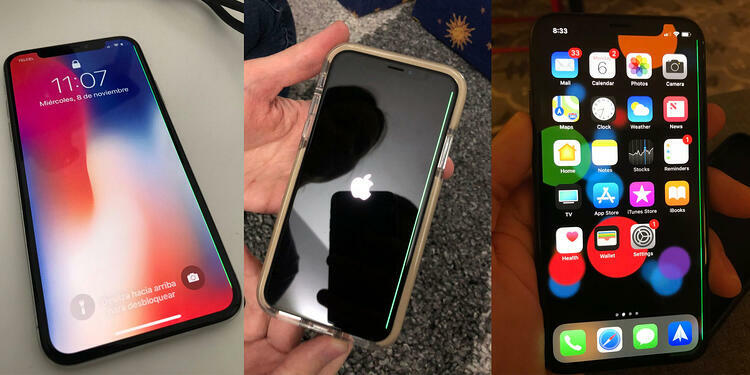 Apple has released three software updates since the release of the iPhone X. The latest 11.1.2 fixes the bug with the screen 'freezing' when the temperature is 'freezing.' Users had reported the display becoming unresponsive when exposed to very low temperatures. Prior to that users complained about 'burn in' - where a residual outline of an image remains visible on the screen after the image has been closed. OLED has several benefits over the LCD displays Apple has historically used for the iPhone, like the ability to producer darker blacks and a more vivid picture. But the technology also has drawbacks. The biggest downside to using an OLED display is the possibility of burn-in, meaning that if you leave an image on the screen for too long, you run the risk of it being permanently retained on — or burned into — the screen over time. Apple outlined the risk of burn-in on the iPhone X's display in a support document posted on its website. To avoid burn-in, Apple recommends using the iPhone X with auto-brightness turned on, adjusting the auto-lock function to turn the screen off faster when you're not using it, and not showing the same image for long periods of time with the screen brightness turned all the way up. A smaller number of users have complained about the sudden appearance of a green line running down the right hand edge of the display. The green line issue isn’t visible when iPhone X units are taken out of the box but it pops up in later use. It also doesn’t appear to be limited to a specific carrier model or storage amount. TechCrunch has a good theory on what’s causing the green line, saying it appears to be an electrical fault that is making the voltage flow incorrectly on a line of green subpixels. Samsung had a similar problem on a few displays last year, except the line was pink. 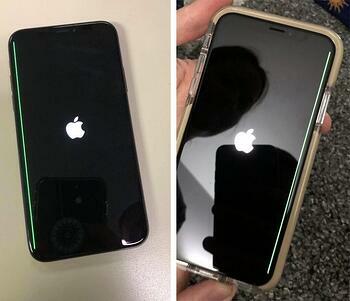 If you do experience a green line on your screen, Apple will swap out the device. Meanwhile Telstra, Vodafone and Optus still have no iPhone X devices available for customers. VoicePlus has lodged pre-orders for its customers and those customers will receive the devices first. "Due to global stock constraints we currently don't have iPhone X in stock but I can order one for you to secure your place in the queue. As soon as we have stock, we'll send it out to you or to your preferred store. At the moment, this should take about 4-6 weeks. We'll keep you updated with weekly notifications and let you know the expected delivery date." 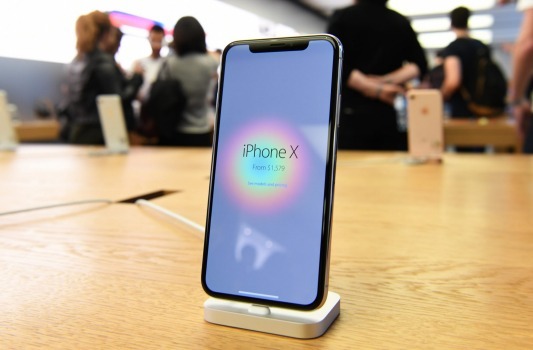 Telstra consumer group managing director, Vicki Brady, has said demand for this year’s Apple smartphones together was “above previous iPhone launches” and the telco was working to secure new stock. Respected Apple analyst, Ming-Chi Kuo, from KGI Securities, also predicted buyers may find it tough to secure an iPhone X quickly, as components used to create the big-screen, face-scanning smartphone were more difficult for Apple's suppliers to produce. Kuo said there may only be between 2 and 3 million iPhone X models available for sale at launch, and supplies would not “ramp up” until November. He predicted 25-30 million would be available for purchase by the end of the year but this is well short of the 78 million devices that sold in Q4, 2016.